Stains are common scenes in the home, especially with kids and pets around. When all’s said and done and your stains have permeated that lovely upholstery, it’s time to call in your professionals. Find the best upholstery cleaner in the city to handle your precious furniture and covers. 1. How much experience does your company have? Experience matters in providing service. Practicality speaking, you’re availing of a service you expect to be done in a professional manner—timely and efficiently. Typically experience entails professionalism and expertise. 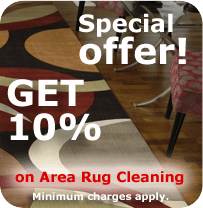 You’re also trusting them with your property in the process, and you wouldn’t want a stained upholstery end up scaling or in worse condition after the service. 2. What cleaning services do you offer and how much? It’s important to know the services your cleaner offers to know their specialization. Some companies offer services outside their specialization and, on rare occasions, remote from their niche. It’s good to know their services are in one industry to ensure their focus on the service. Apart from knowing their services, you should also know their prices. While it’s usually tempting to go for businesses with the cheapest fees, it’s better to go the cost-effective route and find the ones with a good reputation; services for reasonable prices. 3. What equipment do you use in your services? You’ll want to know what equipment your cleaner uses and for what purpose, all for safety reasons. It’s best to know if you should keep the children away from their equipment or chemicals. It’s also a precautionary measure to know what they’re using to avoid other miscellaneous business fees. 4. Does your company implement and require trainings for cleaners? It’s a bonus point for the company if they implement trainings or guides for their cleaners. This will help them resolve cleaning issues systematically and proficiently. This would also help you assess the extent of the company’s efforts in helping their cleaners know their industry better and provide better services for their clients. In asking this question, take into account what their trainings were and who hosted the events. This will help you give credit for quality trainings. 5. Do you have a business license and other applicable and required certifications? It’s important to check you cleaner’s licenses to ensure you’re dealing with a company recognized by the state. This will also help you identify their level of professionalism, knowing that the company respects and abides by the law. It would also help to know what the required and applicable certificates are for cleaners in your state before you proceed with your visits. 6. Do you have Public Liability Insurance? A Public Liability Insurance will cover property damages or injuries caused by the cleaner. If, for instance and some reason, a cleaner accidentally sets your furniture on fire, you’re safe to know that you will be compensated for the damages. 7. Are your employees covered with Worker Cover Insurance? While this is outside your servicing, it’s good to know whether the business you’re going to patronize is abides by the law and treats their employees well. With Worker Cover Insurance, cleaners are guaranteed coverage in case of accidents or injuries. 8. Is a Satisfaction Guarantee included in the service agreement? Businesses who pride their work and believe in the best of their abilities will often gladly throw in a satisfaction guarantee clause in the service agreement. This clause will ensure you a quality experience using their service, and if not, a refund or re-servicing the least. 9. Do you have Police Clearance Certificate for your cleaners? While this may question may sound pejorative, it’s strictly for your safety. You’re letting in strangers in your home; it’s only logical to know if they pose any danger to you and your family. Some stains you can remove DIY, but stubborn ones should be left to the professionals. While you can easily find a quick fix online, you may also be compromising your furniture or covers. Save time and potential major restorations; call in the best upholstery cleaner in the city and let them do their magic.